Is it even acceptable to receive scent…? 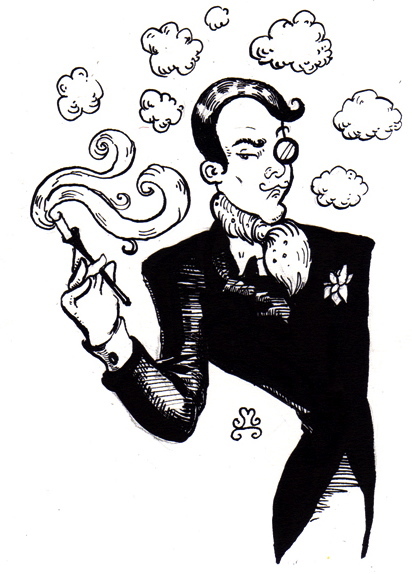 The Perfumed Dandy’s Fragrant Forum | The Perfumed Dandy. These next twelve days , will, so a friend at one of the world’s very most famous department stores tells me, represent the most frenzied period of perfume buying of the entire year. More scent will be sold than on all the advent days in the immediate run up to Christmas. More bottles will be boxed, wrapped and dispatched than for all the birthdays in the year combined. Well, St Valentine’s, bien sur! It is the doing of that old King of Hearts himself. So this week a simple, well near simple question. Do you like receiving scent as a gift? Has The Dandy gone mad? I hear you ask in turn… for are we not all more than a little partial to perfume to say the least. How do you feel when someone buys you a scent unsolicited, as a surprise, that you haven’t chosen or at least advised on? Open to olfactory experiences from all directions! I love getting any kind of perfume as a gift. Anything at all. The problem is that because of the blog, I think people don’t want to guess what I like so they don’t buy it for me. My husband is very good and will buy what I ask for ( within reason!). My friend Lisa knows my taste so well that her gifts are always spot on. Recently she bought me some vintage Jolie Madame and a genuine mini of Gucci envy. You can imagine how thrilled I was! As for buying for others, that’s something I love doing and people have come to expect it from me at Christmas and birthdays. I find it immensely satisfying to match someone to a scent they haven’t tried that I think they will like. So far so good, unless they are all very good at acting pleased! Now I would expect no less a gracious response from yourself. But is there not even the tiniest tinge of nerves when the package is handed over in the faint tinkling splash of scent against glass emerges from within?!? But is what you get is vintage Jolie Madame and miniatures of your beloved Envy then I can well understand why you are so inclined to receive gifts. As for giving the,… with your impeccable taste, I should imagine that there’s a queue of prospective recipients forming around the block! Thank you for your kind words. let’s just say my Christmas shopping took an awful lot of thought! Most people get an oblong box of some sort from me and they seem to like it. I love getting perfume, even hideous ones, although I am careful not to write derisory reviews of gifts. Far too polite. As long as nobody ever buys me Womanity, all will be well. It literally made me retch and gag. Incidentally Mr Dandy, what was the best perfume gift you ever received? Please make that a forum! Yes… one must be very careful at least not to alert friends if one is to be unkind about a perfumed gift! Let’s hope none of that infamous sea shore scent comes your way. Now thank you for the suggestion… a feel another forum coming along, in just a few week’s time! I am always happy to receive fragrance – anything, any time. I always have a Wish List and my darling husband doesn’t risk buying unless under the strictest supervision but my fragrant friends often surprise me things that are off the wall – and it is always appreciated. A lovely friend who is my partner in crime in perfume matters gave me Bijou Romantique from Etat Libre for Christmas because she had quietly observed me enjoying a sample of it. That was a lovely surprise! Her husband always asks me what she wants for birthdays/Xmas and I always make sure he is doing the right thing. Even if something is not to my true taste there is always the possibility of swapping it in the future – no perfume gift goes completely unloved.. I think it’s a terribly wonderful idea for an unsolicited scent, but I’d prefer to have some input unless the person knows your favorites. And that’s the quandary isn’t it!?! A wonderful sentiment… but what if, what if Britney were lurking inside. Now I’m sure neither you nor I know anyone who would buy such a thing, but tastes are so varied and different. It’s a marvellous to be surprised I suppose, but no delight to be shocked! I wish I were as organised as you and had a permanent wish list at hand (though, Lord knows it would be so long). So I fear any fragrant purchase for The Dandy relies on chance or similar acts of astute observation as that committed by your very cunning and kind friend. Bijou Romantique. Etat Libre have such lovely names. I shall be going past a place that carries their line tomorrow and will be sure to pop in to try a spray. Notes to self – keep a list, sample very publicly making known what I like, tip of the partners of friends in the hope of reciprocal arrangements. Truly, I am on a learning curve! I love receiving fragrance gifts, and in any form, soaps, lotion, candles, anything. I have been the recipient of such generous and kind gifts from fragrance friends as to make me well up with tears over their thoughtfulness. And it truly is the thought that matters, though it’s nice that they know my taste, and they like to educate me. 😉 I am very touched and sentimental about those perfume gifts. In practical terms, my husband needs guidance. Not that he would buy me celeb perfumes, but he thinks I have too much as it is (he’s learning). I have to solicit what I want from him, which is difficult for me because it seems rather icky & mercenary. I solicit for Christmas, but I wouldn’t for St. Valentine’s Day. It IS a quandary! Why not post on your blog here exactly what you’re pining for, and…see what happens? Of course, of course.. all those other fragrant fancies! How I love them: the candles, the essences, the bath oils and body lotions. You are so right, they make a welcome addition to any home. And the memories that gifts contain, ‘that one was that birthday when so and so…’, ‘do you remember the Christmas I got that and…’. Little triggers, or better still keys to unlock doors that open up corridors into the past. A theme that seems to be emerging here is that husbands, partners, VSOs and all other descriptors for ‘other halves’, whatever we might call them, they seem to need direction, whereas fragrant friends are more inclined to offer a splendid surprise. The Dandy can;t help thinking that’s as it should be… though I must admit I’ve always been very luck so far come St V’s!! The other purchaser I was (indeed am) extremely luck of was my dear mother, who bought me Roger & Gallet Homme as a first fragrance. Parents, in this as in so many other things lay such important foundations! Wonderful idea regarding dropping some subtle hints on line… the only problem is.. there’s so much I like and so much I already have!! Everyone’s too scared to buy me perfume as they know I’m really fussy! I’ll most likely get gift vouchers, but (with reference to Lilybelle’s comment above) If anyone feels like buying me a 200ml bottle of Cuir de Russie and Bois des Iles, also why not throw in a few classic vintage decants or bottles, that would be welcome, thanks. Haha, most onlookers of my frenzied perfume buying and selling are at best bemused and at worst mildly confused and alarmed! I’ve swapped with a few perfume aficionado friends mind you, and for this purpose I’ve set up an Edinburgh perfume appreciator’s meetup group, wish it luck! I’m with you… if anyone would like to purchase aforementioned Cuir de Russie, or perhaps a couple of the similarly sized Dior collection couturier perfumes I should be a very happy Dandy indeed. Possibly spoilt by all the ample opportunities to try in London Town, or maybe because I am a natural magpie, I rarely go in for buying and selling. Unfortunately for my bank balance, it’s just the purchasing I partake of, for myself and others! Thank you dear Sir Dandy, I do hope the perfume group flourishes in Auld Reekie! I probably buy and sell because, as you say, the opportunities for testing hard-to-find perfumes aren’t so great here, so if samples aren’t available the buying/selling option comes in, and I really enjoy it. The buying does tend to out-do the selling of course! A trip to a perfume store and a scent to boot.. a double treat! I feel I have in all likelihood done as you and scared friends and nearly all family away from purchasing me perfume. A shame really for I do like surprises, and am actually rather tolerant of quite ‘bad’ fragrances so long as they’re not sickeningly sweet. I think the problem is more that they believe ‘oh he’ll have it already’, thinking that the cupboard and a half I call a collection is pretty much all the olfactory world has to offer (a common misconception amongst the uninitiated don;t you think?). Perhaps I should advise them to be a little bolder and let their hearts and noses guide them. As to your grand-daughter. How could you not adore a first fragrance bought by her for you and, actually, Juicy Couture shows a no little imagination I feel. It’s a very definite step up form much out there. in fact, I don;t mind their now discontinued dirty English, though I suspect that was not the gift!!! As for the your new phrase ‘Britney Fear Factor’ it is a hoot! The Dandy adores it, and from hence forward the fallen princess of pop shall be known by no other title than ‘Britney Fears’ around here. Hahaha! “Britney Fears”!!! That didnt even occur to me …brilliant! Personally, I would love to get perfume as a gift! But as far as I can remember, I don’t think anyone has ever given me any. But then at least you have also escaped the terror of the ‘Britney Fears’ as I shall now forever call them. Maybe the time has come to start dropping some very heavy hints!!! You touch on a very testing question… is it ever proper to dispose of unwanted gifts? Now, I’m with you, I will allow them to linger at the back of a cupboard or under a bed for years simply because I was brought up to believe it desperately impolite to get rid of anything given me. Yet, if ebay is to be believed. most people these days have no such qualms, for half the stock on there seems to carry the rider ‘unwanted gift’. Could it be our manners are out of step with the modern age? Yeah, I’m the same way: no gifts get regifted or get rid off. I suspect it is something learnt in childhood impossible, perhaps undesirable to unlearn later in life. We shall die with all those unwanted gifts you know! Oh heck yeah! Any gift I don’t want goes to the consignment shop or on Ebay. It’s gone. If it’s from someone close, I’ll use it a couple of times (like wear a scarf) so their feelings aren’t hurt and then it’s gone forever. I applaud your straightforward and practical attitude, honestly I do. I’m sure there’s a lesson in there for us all… and frankly I have people like you to thank for many a perfumed purchase. *He smiles*. My lovely MIL, shortly after I first met her, and before I became interested in perfume, explained she had been given various bottles of Chanel that she didn’t want, and would I like any of them? I picked Cristalle. For many years after that, she would give me a bottle of Cristalle as a gift. It took ages for the penny to drop, but I’ve now realised that very likely she wasn’t given any of those bottles, she bought them all herself as a way of working out what I would like – now that’s gift giving by a pro! That lady should give master classes in present purchasing! This and the escorted visit to the fragrance store (somewhere quiet and out of season) must be the two best tips for making scented swoops I’ve heard. What a lovely MIL, how lucky you are! Yes, I almost always get perfume as a gift from my husband. What really happens us that I choose one, procure it, and congratulate him. He pays the bill. It has been our arrangement for quite some time, and suits us well. Every so often, he will gift one to me from my wishlist, which is prominently displayed on our desk top computer. Sometimes I will receive perfume from a well-meaning friend, because it’s common knowledge that I adore it. But few will dare, as they know my tastes are specific, and generally of the mail-order sort. I often gift perfume for a very special occasion. It is almost always well-received, esp by my DH. I have a similar arrangement with certain members of my family and apparel. I procure, wrap and post to them, they present to me and I thank them profusely. This year it slightly broke down when they exclaimed horror at a particularly Dandified chemise only to discover they’d bought it! Now, I do like the idea of a prominently (permanently?) displayed wishlist. Like you, I must admit to being a committed giver of scented gifts, I seem to furnish my entire family with fragrances every year, though none to date has complained…indeed quite the contrary! I only like getting scent as a gift when I pick it out and order it or buy it myself. My husband always tells me to buy my own gifts and that’s fine with me. If I don’t pick it out I don’t want it….But if I get stuck with it anyway I just swap it or sell it. No biggie. As per my conversation with Undina above, I only wish I could share your lack of scruples when it comes to unwanted gifts. I know the sensible thing to do is sell them on (so, apart from anything else they go to home that wants them), but something in my nature prevents this course of action. To late to teach this old dog new tricks I fear.